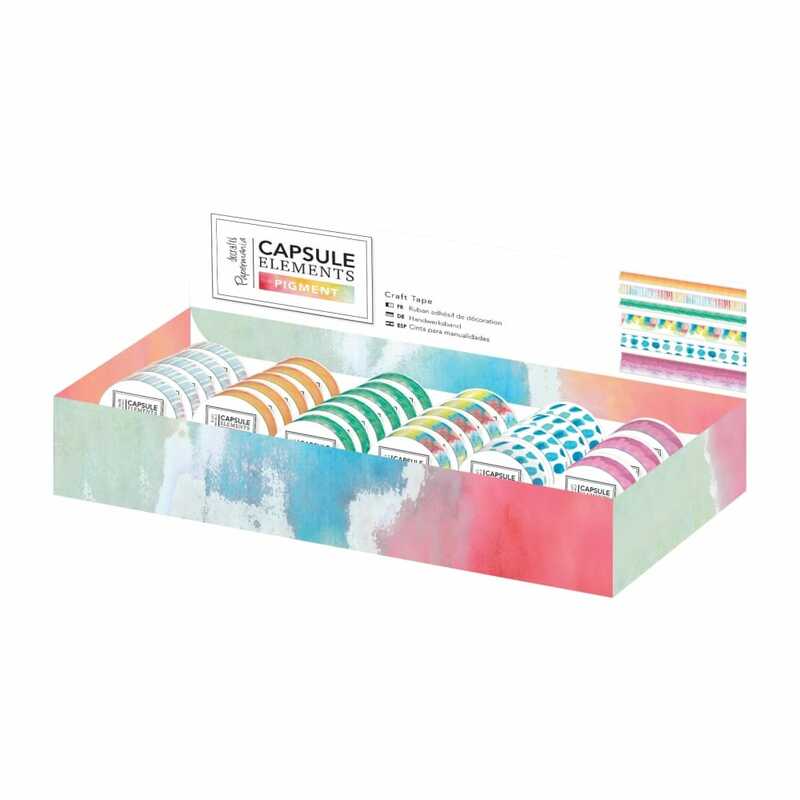 Burst into Summer with this bright and contemporary collection by Docrafts Papermania - Capsule Elements Pigment. In a selection of vivid colour themes, this range is blended with watercolours, textures and ombres. Perfect for adding a modern twist to your Papercraft projects these Craft Tapes add the perfect finishing touch. 60 x 3m Craft Tapes included - 6 designs, including: Colour Stripe, Orange Ombre & Green Ink (15mm width), Colour Blend & Blue Dot (30mm width), and Pink Ink (48mm width).